With all the talk of a third world war going around, I think it is time to talk about the possibilities of surviving a nuclear war. 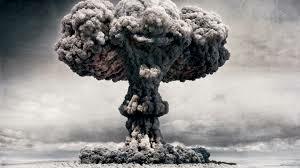 The first thing to understand is that most of what the public knows about nuclear war comes from disarmament spokesmen, Hollywood movies and science fiction books and is untrue. If you don’t have the correct information, you won’t take the correct precautions and will reduce your chances of survival.